Take care of the background noise: Yes, complete soundproofing is not possible. However, keep the background noise to the minimum. This includes anything from a noisy air conditioner to a creaky chair. Even your location matters. For instance, is there a school or a playground just beside your recording room? In short, you need to take a complete stock of the situation before you begin. Prepare the participants: One of the best ideas is to let the participants know what is expected. Tell them to speak slowly but clearly. Ask them to refrain from shuffling papers or talking among themselves. If someone starts coughing, sneezing or laughing, ask the others to wait for it to pass. Introduce each participant at the beginning of the interview. Look where you place the microphone: If your interview involves many people, place the microphone at equal distant from all of them. Moving it around is not a good idea as it will introduce a deafening sound, which will drown your words. Choose an external recorder over a built-in option for better sound quality. Using a limiter-equipped recorder is a good idea. It limits the level at which a sound is recorded. This means, any sudden outburst, such as laughter or a loud horn, won’t be recorded. Use your smartphone: A smartphone’s in-built recorder is generally of a good quality and works great. 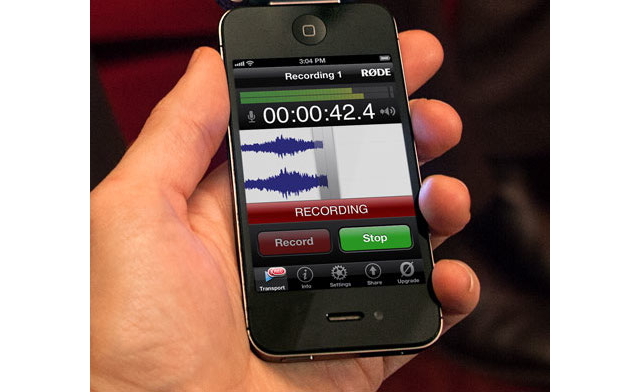 You can even count upon the various free and paid recording apps for the purpose. However, some apps work in specific geographical locations only. Make sure your area is covered by the app, before you plan to use it. External Recorder: If recording is done through external recorder for a call through computer, then ensure the computer speakers are of best quality as well as the sensitivity of the recorder is good since recorder usually catches 2-3 notches lower than what we can actually hear during calls. Use Skype: Opting for Skype is a good choice. Pair it up with a high-performing microphone and you will get a recording that’s almost as good as a studio. Contact Scribie today for the best quality audio transcription. Upload your file here. Thanks! I use the headphone trick with a ton of run-n-gun video projects all the time, def saves my audio!